This is West London and no matter how hard we try to avoid it, the subject of money comes up regularly with our children. 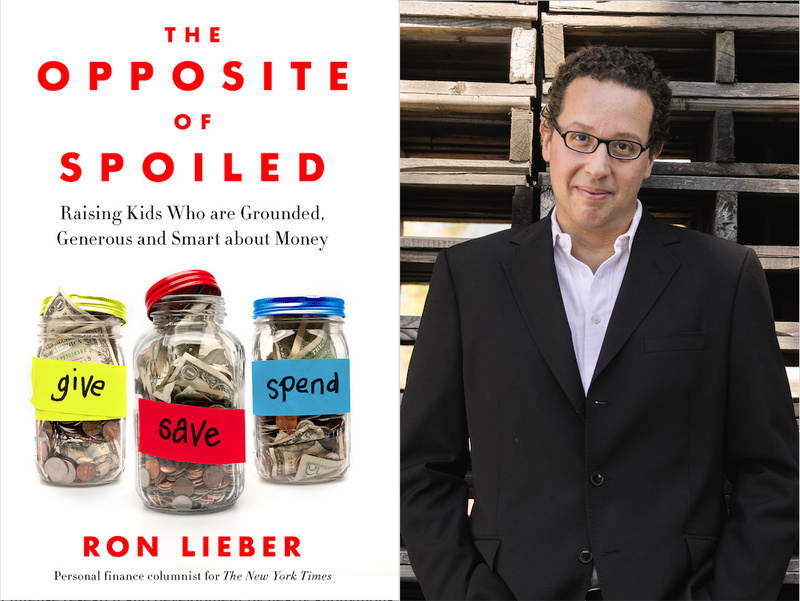 It may be a very taboo subject, but Ron Lieber, who writes a column, Your Money, for the New York Times, faces the issue straight on with his recently published book, ‘The Opposite of Spoiled: How to raise kids who are Grounded, Generous and Smart About Money,’ which has already shot up on the New York Times Bestseller’s List. So if you have ever wondered how to handle the ‘money questions,’ here below are Ten Tips to help you navigate theses questions and teach your children about money, based on Ron Lieber’s book. Although each family will have their own threshold, it is important to explain that there are things that we ‘need’ (food on the table, proper clothes, a house with a roof over our heads) versus our ‘wants’ (birthday presents, new Frozen doll or new Ninja Turtle). As soon as they are able to add and subtract, you can start giving them an allowance. For example, give them 50p for each year old they are. The idea is to give enough that they can buy something, save and manage their money. Parents should then not buy their children any other ‘wants’ apart from birthdays and christmas. Ron Lieber although does not encourage linking money to chores. He feels that chores are things that need to be done regardless of whether a child is being paid or not. They should do it for free as a member of the household. ‘Spend’ jar can be used for the odd impulse buy, the ‘Give’ jar teaches them to be generous and the ‘Save’ jar teaches about patience and delayed gratification. Teach your children to be grateful for what they have, to share it and to be generous with others and spend it wisely on the things that make you happiest. Teach them about priorities and a proper way to live. This is a great way to teach children about work ethics, hard work and understand how much a pound can go (which these days is limited to the Pound Shop). The Americans are very good at encouraging their children to have part time jobs, and if it is less than 15 hours per week, it will foster essential skills that will be good for their future: they will have to report to a ‘boss,’ need to be responsible, show up on time, and do it happily. Let me know your thoughts about his book!